You’re using a good knife for every day carry. You are taking good care of it. It works well, is clean, stays oiled, and stays sharp. There are some additional realities we need to consider in the carry and use of a knife every day. There are problems you may encounter. There are a host of no-no’s. 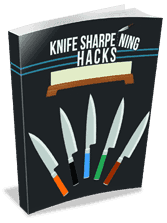 There are also some things to avoid if you are new to carrying a knife. Carrying a knife every day has advantages. It also has some disadvantages. Unfortunately, many people in the world see a pocket knife and think of it only as a weapon. It’s odd that they do not make the same connection to a Chef’s knife. Perhaps it is because the chef’s knife doesn’t leave the kitchen. Perhaps it’s the accessibility of the pocket knife. Perhaps it is the dual nature of knives historically as tools and as weapons. Either way, it helps to be cognizant of that perception. People may give you stares or may make comments about “carrying a weapon”. They may start arguments. I try to use my knife very subtly. If I need to use it I often only open it halfway to do so. I try to avoid opening it in an authoritative and flashy manner. I use small arm movements and call as little attention to myself as possible. Other problems you may run into are a shredded pocket. The knife clip on many knives does a good job of retaining the knife in your pocket, but sacrifices the hem of the pocket in the process. The dreaded shredded pocket is a common issue. You may want to look into reinforcing your pocket with iron on patches of the same or similar color. Many sewing supply stores or even the dreaded Wal-Mart carry them. You can also look into clip modification or knife scale modification. Another problem, which may or may not be perceived as such would be fidgeting or playing with your knife. I’m human. I’ll admit this can be enjoyable as many knives are fun to open and close. Flippers, autos, thumb studs… many are just plain fun to open. Now…I’m not saying to avoid this habit entirely. I am saying we need to be aware of when and when not to do it. Flipping it open and closed in public is a bad idea. In line at the post office, shopping at the grocery store, getting a new driver’s license, and at work are all places I would avoid this behavior. They will draw stares and may even draw the police. Doing so at home or in the car are better options. Even then, be aware of your surroundings. Flipping it open and closed in a traffic jam may still draw unwanted attention. This leads us to our next topic, EDC no-no’s. There are many no-no’s (stuff you should never do) that go along with owning and carrying an EDC knife. Some of them are common sense and some are not. Many are just forms of knife abuse. They revolve around stress tests manufacturers, such as Cold Steel, often put their knives through. While I think these tests are valid from the manufacturer’s perspective, there should be no need for us as knife owners to do them. We will go through them below. 1. First up is the spine whack. This is a manufacturer test that involves striking the spine of the knife against a hard object such as a 2×4 or concrete. It is intended to determine the point of lock or pivot failure from stress on the knife. This is a valid test for a knife maker to perform, but an owner really has no need to do this. This is another manufacturer test that involves striking the knife. This particular test comprises striking the handle of the knife just below the blade. Again this is used to determine the point of lock or pivot failure from stress on the knife. Again, there is no need for an owner to do this. 3. Now we come to batoning. In one of my previous articles, I detailed batoning and how to properly perform it. One of my criteria required the use of a fixed blade. Doing so with a folding knife puts undo stress on the pivot and lock. Many manufacturers do not even do this test. They will say the same thing. A fixed blade is one solid piece of steel with no joints or hinges. It is solid so the force of the strike is applied uniformly. A folding knife is composed of multiple parts and several pieces of steel that are not joined. A strike from batoning with a folding knife puts inconsistent pressure on differing parts of the knife. This incongruent pressure can break the knife or cause the lock to fail. You may cut your hand when this occurs. The only time I would baton with a folding knife would be a dire emergency. 4. Prying is a common mis-use of a folding knife. Light prying, such as digging a splinter from your hand, is fine. Real prying, such as a crowbar, is not fine. Your knife’s pivot is the central point of the knife. It is the reason it folds. Prying with your knife can and will compromise lock safety, alignment, pivot performance, and can even break the blade. Why would anyone do this? 5. Throwing is another thing to avoid. I’m not talking about gently tossing your closed knife into a bag. I mean using it like a throwing knife. It isn’t. Most folding knives are not designed to be throwing knives. Many knife makers sell purpose specific throwing knives. When I was younger I tried throwing my Bucklite at the wall hoping it would stick. It bounced off and stuck me in the arm. I still have the scar. Lesson learned. Don’t throw a folding knife. 6. The last no-no I’m going to cover here is the use of a knife as a hammer. As the phrase says, “Use the right tool for the right job”. Your knife is not a hammer. Find a hammer or something else suitable for pounding on something. There’s just no need to pound with a folding knife. New folks, Newbies, or Newbs are general reference labels for anyone new to participation in any walk of life. Usually those pursuits involve their own nomenclature for new people. Basic training in the USAF refers to new people as Rainbows, in reference to their street clothes. The first week or so of USAF basic Training is done without uniforms as tons of paperwork and medical forms/immunizations are completed. The EDC world has its share of Newbs as well. With them come questions and concerns. Often it will also bring out peculiarities. Here are some to avoid. 1. Many people new to EDC knives like to carry lots of them. It is understandable to carry a small pocket knife, a larger folding knife, and perhaps a multi tool. Anything more than that can be a little obtrusive. You don’t want to be the guy with 5 folding knives on his hip destroying all his pocket space. It is impractical and a little silly. 2. 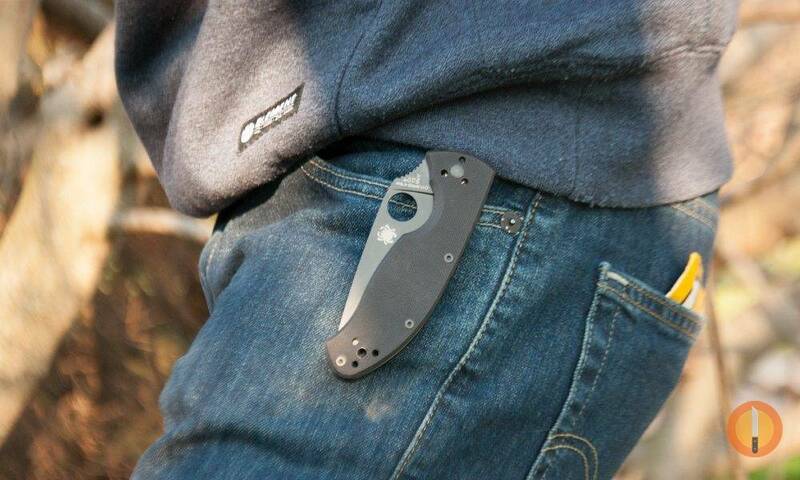 Another common newbie mistake is carrying a knife on the outside of the pocket. Yes the pocket clip allows you to clip a folding knife to your clothes or gear in any fashion you want, however it is all too easy to lose said knife if it is hanging outside the pocket. It is also very easy to lean against something, like your car, and leave a huge scratch. 3. Another thing to avoid is the Super-Mart or corner drug store special. These knives are akin to the junk folders found at gas stations. Additionally, many manufacturers that sell to big box stores do so by diluting the quality of the product. Knives are no exception. I strongly advise finding a retailer (online or brick and mortar) you trust to ensure you are getting the genuine article. On top of that, it’s common to find fake copies of our favorite knives sold as the real deal. Spyderco and Zero Tolerance (both great knife manufacturers) are often highly copied and have those copies peddled as the real thing. Buyer beware! 4. Something few newbies do (thank goodness) is trash talk. Trash talk is everywhere. Whether it’s sports teams, cars, houses, jobs, education, skills…trash talk is everywhere. It is just another version of “mine is bigger than yours”. There’s no need for it in this pursuit. While it is perfectly acceptable to politely inquire as to what someone carries and what they like about it, there’s no reason to shoot their choices down. There’s no reason to brag about your choices either. If someone likes Gerber, more power to them. If someone likes Buck, more power to them. Every knife company has its gems and its failures. No one is perfect. This leads to my final point. Something newbies should not be afraid to do is politely ask someone about their knife of choice. If you see someone using a folding knife, chances are they like carrying a knife every day. They may be a fellow knife enthusiast. They may just carry what Grandpa has always carried. It may be sentimental. It may be functional. Ask. Engage. Nothing ventured, nothing gained. It’s been, and will continue to be, my goal of clarifying and helping people understand other avenues of knives, carrying, and collecting. I hope I have cleared away some more cobwebs in the world of EDC knives. I hope I have provided a convenient window into this pursuit. No one knows everything. I only know a small bit of a larger world for which there are many facets. Yet, what I do know I will always gladly share.